Almost all of the clients we work with in the healthcare industry use a robust and industry-specific, clinical solution, but they need something to manage the financial reporting and financial requirements for their organizations as well. 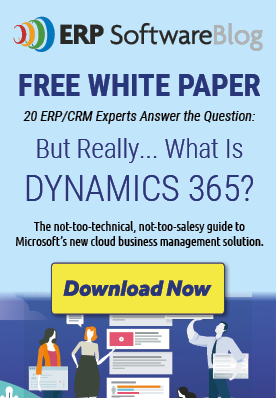 That's where Microsoft Dynamics comes into play with its superior integration engine. This engine enables you to create integration seamlessly with your clinical solution, payroll provider, bank provider or virtually any other aspect of your system. When you create these integrations, they’re seamless, real-time, and reliable. Stay tuned for the next post when I discuss Reason #2: Managing Multiple Facilities & Multiple Locations.